The hospital is part of Sarasota Memorial Health Care System, an 819-bed regional medical center with about 4,000 staff, over 800 physicians and 1,000 volunteers, making it one of the largest employers in Sarasota County (Florida). All of these beds, patients, and individuals working hard to deliver quality care leads to a corresponding very high number of assets to manage. Craig has the responsibility of making sure that all of the 13,000+ items of Facilities equipment for Sarasota Memorial are successfully managed – no small task indeed. How does he do it? In addition to his own exceptional management and organization skills, he relies on a specific set of systems and tools with EQ2 HEMS® playing a central role today as it has every day for the past three decades. Sarasota originally acquired one of the first generations of the HEMS product when it was developed at the University of Vermont in a healthcare setting. At the time and with so many equipment items to be managed that affected so many staff members, and ultimately patients, there was a strong need to streamline the documentation they were using, allowing for much needed efficiencies. They wanted to find a solution for documenting preventative maintenance in a less cumbersome electronic way rather than the traditional paper and filing cabinet method the hospital had been using. It was also important to find a system that was orientated for healthcare, with a team that offered customized customer support to make the implementation go as smoothly as possible and for ongoing support from that point forward. EQ2 offered just that and has been partnering with Sarasota Memorial ever since. Today HEMS is used by 50 team members to manage the four different services areas of the Main Hospital, Nursing Rehab, Environmental Services and Ambulatory Property Sites. These employees are fully engaged in the principles of quality, safety, and performance cited by the Gallup award mentioned above. In the main hospital, they maintain an equipment inventory of 13,596 items and perform tens of thousands of preventative maintenance procedures on those items every year. In the past ten years, over half a million work orders have been completed by staff at Sarasota Memorial. Web Request – every employee at all four locations has access to put in a maintenance request, resulting in 100 – 125 “unscheduled work orders” to fix everything from file cabinets to 2500 ton chillers each day. This is in addition to the 2,000 – 3,000 PMs (preventative maintenance requests) that are scheduled at the beginning of every month and another 150 – 180 that are scheduled during the rest of the month. Web Enterprise – this mobile app makes it much easier to check the 800+ fire extinguishers in the hospital every month, making managing and documenting the inspection process very efficient. The smart app performs look-ups from barcode scans, swaps out faulty fire extinguishers with an inspected unit from storage and automatically closes out completed inspections using a mobile device right on site. Patient related items, fire and life safety items, and even items outside of the facility like the 43 acres of roof at Sarasota Memorial are all inventoried and maintained using HEMS and the integrated programs. Craig says that there are many ways to use HEMS to help manage costs and plan for the future. He encourages the team to document in the system the warranty terms for a piece of equipment. This way if for example a refrigerator has a five year warranty and an issue occurs during year four, he knows not to have internal resources repair the issue when it is covered by the manufacturer’s warranty. He also lists purchasing planning as a key advantage in using HEMS. Documenting purchase orders and how much equipment costs allows for an opportunity for analysis and better purchase decisions in the future. Like many of EQ2’s valued customers, Sarasota Memorial reaches out to the EQ2 team whenever a question or other type of support is needed. EQ2 assists our customers with a customized experience so that they can use our products to help them run their hospitals as efficiently as possible. Sarasota Memorial has frequently provided suggestions for ways to improve existing products as well as brand new offerings that can benefit hospital facilities. 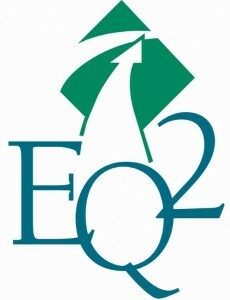 In turn, EQ2 has regularly offered Sarasota Memorial one of the first opportunities to try out a new solution. For example, the fire extinguisher for mobile app mentioned above was tested by the hospital and they were the first facility to use the finished product. The two organizations also collaborated on the best way to perform setups for the smoke/fire compartment inspection program.